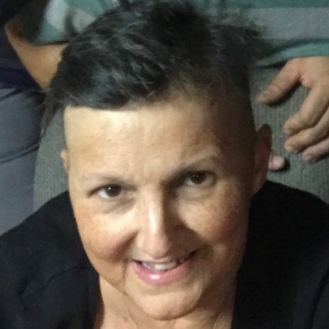 Tambra “Tami” Ann Ruiz Bonura, 56, of Metairie, passed away on October 21, 2018 after a 13 year battle against lymphoma. Tami is survived by Michael Victor, her children Allen Bonura, Jr., Brittany B. Bright (Christopher), Kenny Bonura, Katherine V. Bruchis (David) and countless spiritually adopted children, siblings Bridget Swafford, Donald “Buddy” Ruiz, Jr., Aubin “AJ” Dupre III, Luca “LJ” Governale III, daughter of Sue Gail Governale and the late Donald Raymond Ruiz. She worked as a CNA then as Intake Coordinator for Family Home Care in Metairie for 24 years. Outside of work, Tami could often be found helping people God placed on her path and lived a life of servitude to the Lord at Gloria Dei Lutheran Church in New Orleans. She will be forever in the hearts of all those who experienced her selfless spirit. Her family wishes to extend our sincere thanks to Dr. Gurtler and all of her medical staff over the years. Visitation will be held 9:00 am Saturday, October 27 at St. Philip Neri followed by 11:00 am Mass. All are welcome to visit her niche on the second floor in the Chapel of Peace located at the Garden of Memories in Metairie on the following Wednesday. In lieu of flowers, please consider making a donation to the Leukemia Lymphoma Society in her memory.